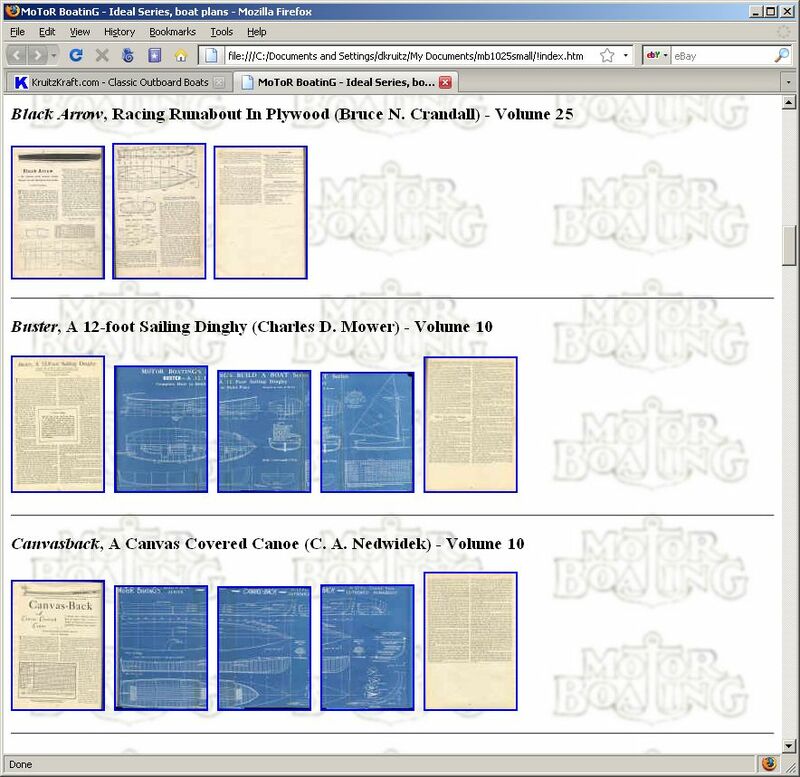 I have personally scanned all 43 plans from these rare volumes and have presented them in a custom browser based format. Each plan is listed alphabetically, with thumbnails for each page of the plan. Simply clicking on the thumbnail pulls up the full sized image of the page. If anyone else is offering these plans in this format they took my work. 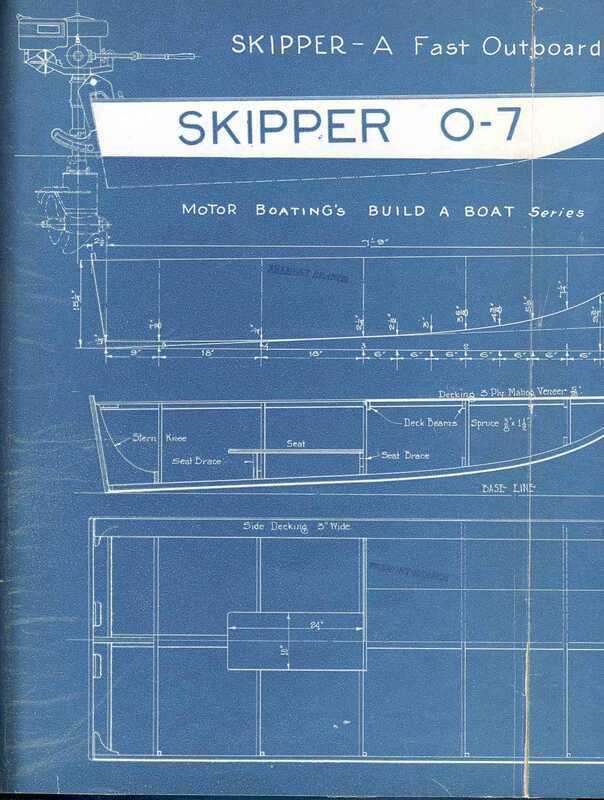 You can create a true vintage wood boat or scale model with these plans. Many of the plans use a table of offsets for the dimensions. They are scanned in with as much detail as the originals showed - a couple of pages are a touch fuzzy and that's strictly because of the original book. Some plans are in over sized blueprint format, the rest are drawings on the standard book pages. These pages can be printed, but depending upon your printer, I cannot take responsibility for how it may look if you do decide to print the pages. In general, if your printer can print the sample blueprint image shown above, it should do fine with these images. The best results I've experienced are with color inkjets, the worst results are with black and white laser printers. This plans package has been tested with Internet Explorer and Firefox. There are no programs to install, no viruses or adware/spyware to worry about. 43 plans of approximately 200 pages of scans for dozens of megabytes of images -- a very good value! The set of plans is just $4.99 in a downloadable format, or for $4 more, I'll mail you a CD ($5 and I'll mail it to Canada.) Lastly, to make it easy on folks, I accept PayPal, or US Postal Money orders. If paying by PayPal, use my email address dan [at] kruitzkraft [dot] com. - The Atkins Family plans had to be removed from this version - they are still copyrighted and available from the Atkins Family (see the Links page). - This is a downloadable set of plans that I have packaged - you download the 40+mb file from my site, and unzip the files onto your system. After payment is received, you will be emailed a link to my site which allows you to copy the compressed file onto your computer system. That's it - quick and easy! - Though it is do-able, I do not recommended dial up users try the download, instead for $4 extra, I'll mail you a CD anywhere in the US, or to Canada for $5 extra. 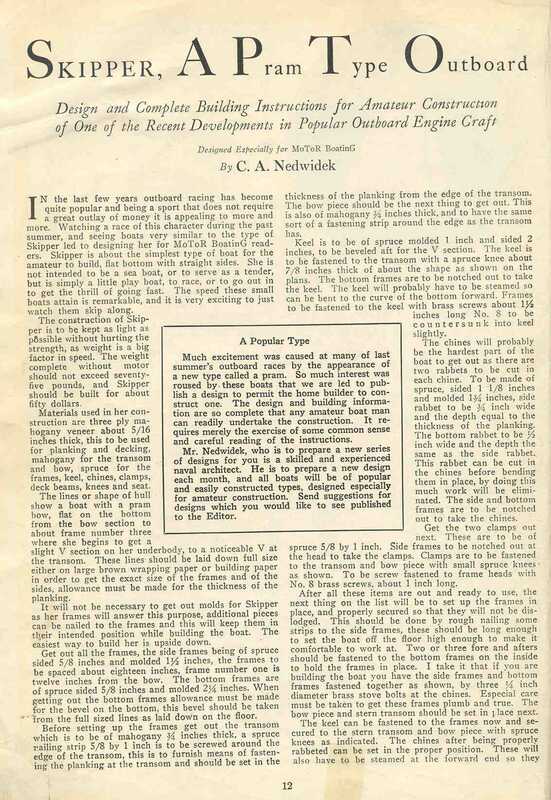 "A GREAT STUDY ON BOAT DESIGNS AND A GREAT TRANSACTION." "excellent transaction, fast shipping, quality item, thank you"
"great communication. delighted w/ CD. clear pictures and text, great work! A++"
"Easy, fast transaction - plans are very readable, nicely done"
"Awsome Deal, Would do buisness with again. A+A+A+A"
Copyright © 2005-2008. Dan Kruitz All Rights Reserved. Designed by Free CSS Templates.